Gottfried Alexander Maximilian Walter Kurt Freiherr von Cramm (7 July 1909 – 8 November 1976), was a German amateur tennis champion who won the French Open twice. He was ranked number 2 in the world in 1934 and 1936, and number 1 in the world in 1937. He was inducted into the International Tennis Hall of Fame in 1977, an organisation which considers that he is "most remembered for a gallant effort in defeat against Don Budge in the 1937 Interzone Final at Wimbledon". Cramm represented Germany during the rise of the Nazi party to power in the 1930s. The Nazi regime attempted to exploit his appearance and skill as a symbol of Aryan supremacy, but he refused to identify with Nazism. He was persecuted as a homosexual by the German government and was jailed briefly in 1938. Cramm figured briefly in the gossip columns as the sixth husband of Barbara Hutton, the Woolworth heiress. The third of the seven sons of Burchard Baron (Freiherr) von Cramm, by his marriage to Jutta Countess (Gräfin) von Steinberg, Cramm was born at the family estate near Nettlingen, Lower Saxony, Germany and grew up in one of their castles in Brüggen (Leine). A younger brother, Wilhelm-Ernst Freiherr von Cramm (1917–1996), was a German officer who was highly decorated during the Second World War, and who after the war was leader of the German Party, a conservative German political party. In 1932, Cramm earned a place in the German Davis Cup team and won the first of four straight German national tennis championships. During this time he also teamed up with Hilde Krahwinkel to win the 1933 Mixed Doubles title at Wimbledon. Noted for his gentlemanly conduct and fair play, he gained the admiration and respect of his fellow tennis players. He earned his first individual Grand Slam title in 1934, winning the French Open. His victory made him a national hero in his native Germany; however, it was by chance that he won just after Adolf Hitler had come to power. The handsome, blond Gottfried von Cramm fitted perfectly the Aryan race image of a Nazi ideology that put pressure on all German athletes to be superior. However, Cramm steadfastly refused to be a tool for Nazi propaganda. Germany effectively lost its 1935 Davis Cup Interzone Final against the US when Cramm refused to take a match point in the deciding game, by notifying the umpire that the ball had tipped his racket, and thus calling a point against himself, although no one had witnessed the error. For three straight years Cramm was the men's singles runner-up at the Wimbledon Championships, losing memorable matches in the final to England's Fred Perry in 1935 and again in 1936. The following year he lost in the final to American Don Budge, both at Wimbledon and at the U.S. Open. In 1935, he was beaten in the French Open final by Perry, but turned the tables the following year and defeated Perry, gaining his second French championship. In an attempt to get Cramm to be more cooperative ideologically, the Nazi government punished his previous unwillingness by not allowing him to compete in the 1937 French championship, even though he was the defending champion. Despite his Grand Slam play, Gottfried von Cramm is most remembered in England for his deciding match against Don Budge during the 1937 Davis Cup. He was ahead 4–1 in the final set when Budge launched a comeback, eventually winning 8–6 in a match considered by many as the greatest battle in the annals of Davis Cup play and one of the pre-eminent matches in all of tennis history. In a later interview, Budge said that Cramm had received a phone call from Hitler minutes before the match started and had come out pale and serious and had played each point as though his life depended on winning. Others say that Budge believed a tale invented by Teddy Tinling (at the time the "call boy" who ushered players onto the Centre Court at Wimbledon) that Hitler had telephoned Cramm before the match. 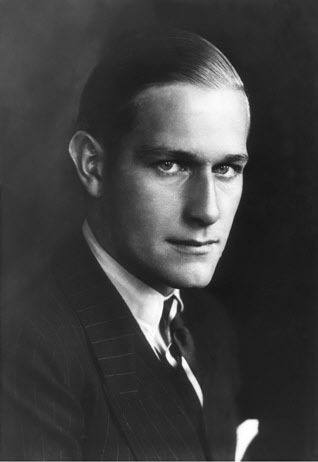 Despite his enormous popularity with the public, on 5 March 1938, Gottfried von Cramm was arrested by the German government and tried on the charge of a homosexual relationship with Manasse Herbst, a young Galician Jewish actor and singer, who had appeared in the 1926 silent film Der Sohn des Hannibal. After being hospitalized for a nervous collapse after his arrest, on 14 March he was sentenced to one year's imprisonment Cramm admitted the relationship, which had lasted from 1931 until 1934 and had begun shortly before he married his first wife. He was additionally charged with sending money to Herbst, who had moved to Palestine in 1936. According to a report on the trial in the New York Times of 15 May 1938, the judge stated that "Baron von Cramm had alleged that his wife, during their honeymoon, had become intimate with a French athlete. The court held that this experience had unsettled the young tennis star and had resulted in his seeking a perverse compensation for an unhappy married life." Although Cramm had confessed to an affair with Herbst once he was arrested, he later changed his confession to one of "mutual masturbation", and his lawyer was able to convince the judge that Cramm had been forced into sending money to Herbst because Herbst was a "sneaky Jew." Cramm's international tennis friends were outraged at his treatment. Don Budge collected the signatures of high-profile athletes and sent a protest letter to Hitler. His friend King Gustaf V of Sweden also pressured the German government to have him released. Cramm was released on parole after six months, and in May 1939 returned to competitive tennis. The extremely tense political climate caused problems when he went to play in England. Nevertheless, Cramm was allowed to compete at the Queen's Club tournament in London, where he won the event by beating American Bobby Riggs 6–0, 6–1. Officials at Wimbledon reportedly refused to let him play in their tournament, using the excuse that he was a convicted criminal and therefore unfit; The New York Times, however, quoted Wimbledon sources as saying that Cramm would have been welcome to participate, had he submitted an entry. The U.S. rejected Cramm's temporary-visa application that same year, citing his morals-charge conviction, and preventing him from playing at the U.S. Open in September. A further humiliation was Germany's decision in 1940 to recall Cramm from an international tennis tournament in Rome before he had a chance to play. The New York Times reported that his abrupt departure "was attributed to the German authorities' desire to prevent the former champion from meeting Henner Henkel, Rolf Goepffert, and other German players... Berlin decided it would be embarrassing if Cramm beat his compatriots..."
In May 1940, some months after the outbreak of the Second World War, Cramm was conscripted into military service as a member of the Hermann Goering Division. He saw action on the Eastern Front and was awarded the Iron Cross. Despite his noble background, Cramm was enlisted as a private soldier until being given a company to command. His company faced harsh conditions on the Eastern Front, and Cramm was flown out suffering from frostbite, with much of his company dead. Because of his previous conviction, he was dismissed from military service in 1942. While the war robbed Cramm of some of his best years as a tennis player, he won the German national championship in 1948 and again in 1949, when he was 40 years old. He went on playing Davis Cup tennis until retiring after the 1953 season and still holds the record for the most wins by any German team member. Following his retirement from active competition, Cramm served as an administrator in the German Tennis Federation and became successful in business as a cotton importer. In addition, he managed the landed estate he had inherited from his father in Wispenstein, in Lower Saxony. Baroness Elisabeth "Lisa" von Dobeneck (1912–1975), a daughter of Robert, Baron von Dobeneck and his wife, the former Maria Hagen, a granddaughter of the Jewish banker Louis Hagen. They married on 1 September 1930 and divorced in 1937. Lisa von Cramm later married the German ice-hockey star Gustav Jaenecke. Barbara Hutton, an American socialite and an heiress to the Woolworth five-and-dime fortune. The couple married in 1955 and divorced in 1959. He had married her in order to "help her through substance abuse and depression but was unable to help her in the end." While on a business trip, Cramm and his driver were killed in an automobile accident near Cairo, Egypt, in 1976, when the baron's car collided with a truck. Two roads were named in his honor, the Gottfried-von-Cramm-Weg in Berlin-Wilmersdorf, where the Rot-Weiss Tennis Club is located, and a similarly named road in the small town of Merzig. Gottfried von Cramm was inducted into the International Tennis Hall of Fame in Newport, Rhode Island, in 1977. In his 1979 autobiography, Jack Kramer, the long-time tennis promoter and a great player himself, included Gottfried von Cramm in his list of the 21 greatest players of all time. [B] Cramm was the subject of a radio play, entitled Playing for His Life, first broadcast on BBC Radio 4 in June 2011. The play focused on the 1937 Interzone Davis Cup final and also on Cramm's personal life.